NORTH FORK — Firefighters were called out to two fires burning along Road 274 north of Putney Place this afternoon. 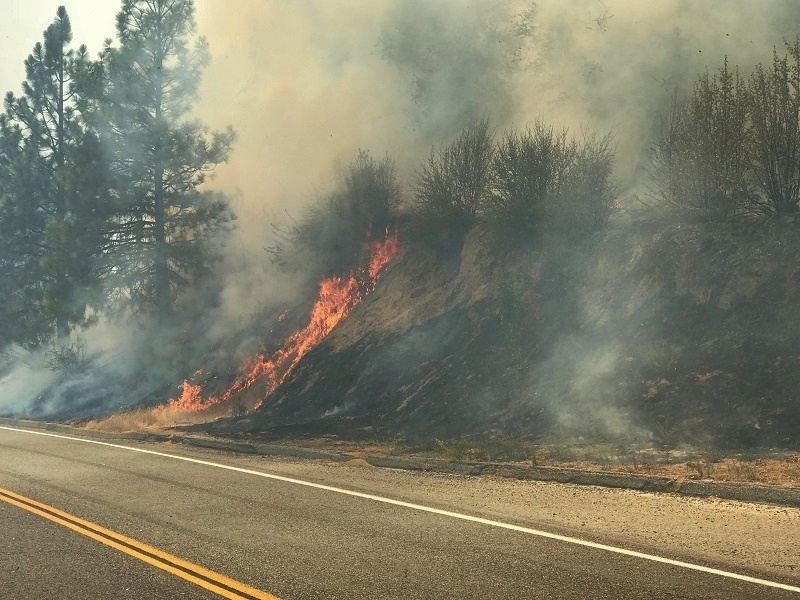 Just after 1:30 p.m., crews responded to what was reported as a series of small fires along the west side of the road. The first unit at scene reported two fires burning in grass and brush at a moderate rate of spread on Road 274 north of Road 225. The first fire was reported to be about one-quarter acre, just north of the North Fork transfer station (aka the dump). 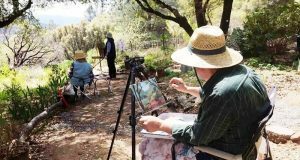 The second fire burning just a few hundred feet to the north was reported to be about two acres. 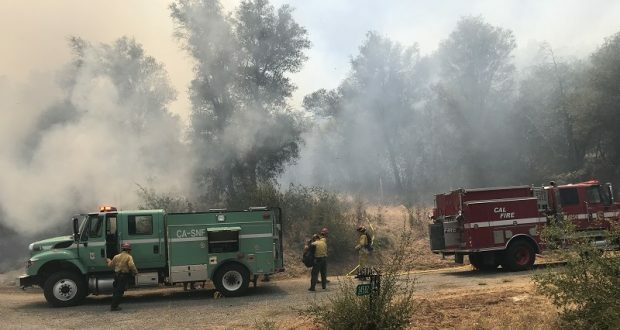 At approximately 1:50 p.m. one fire had spread to five acres and additional crews were requested. Air tankers and helicopters were dispatched. 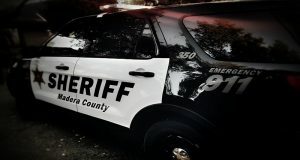 At 1:54 p.m. Madera County Sheriff’s Office issued a pre-evacuation notice for Putney Place and the surrounding area. 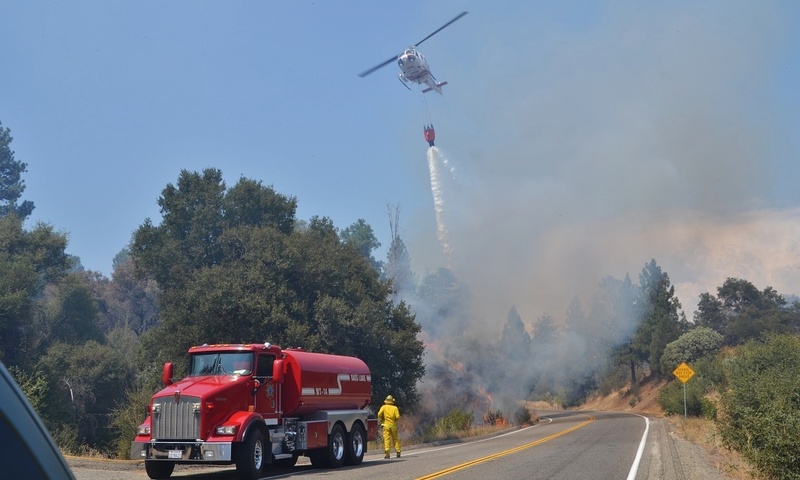 CHP implemented a hard closure at Road 225 on the south and at Gilpin Lane on the north. 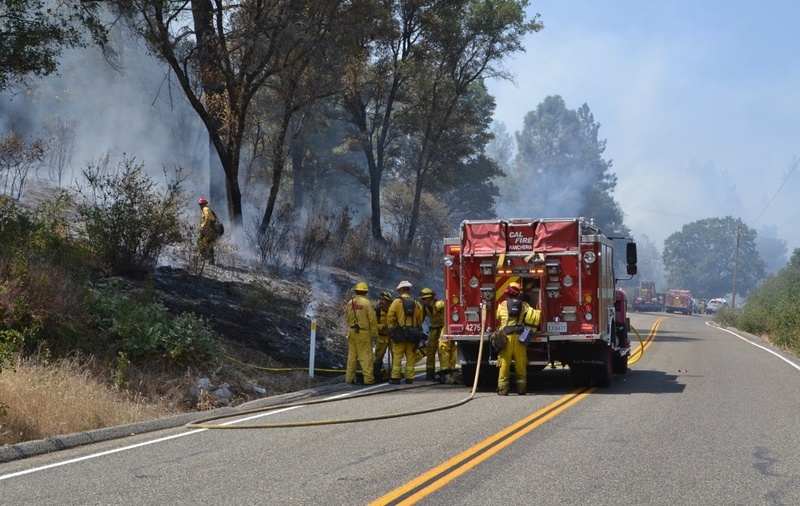 By 2:30 p.m., crews had hose lays around both fires and were starting mop-up. There was one small spot fire across to the east side of the road, but firefighters were able to pick that up. 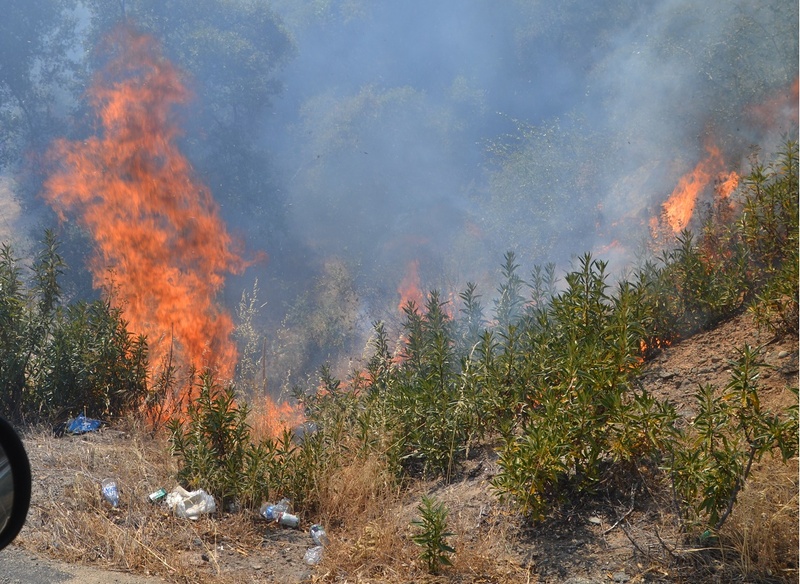 Ember casts are a problem in the dry vegetation, and at 2:40 p.m., the fire spotted across the hose lays to the north. Helicopters quickly began bucket drops to slow the spread. 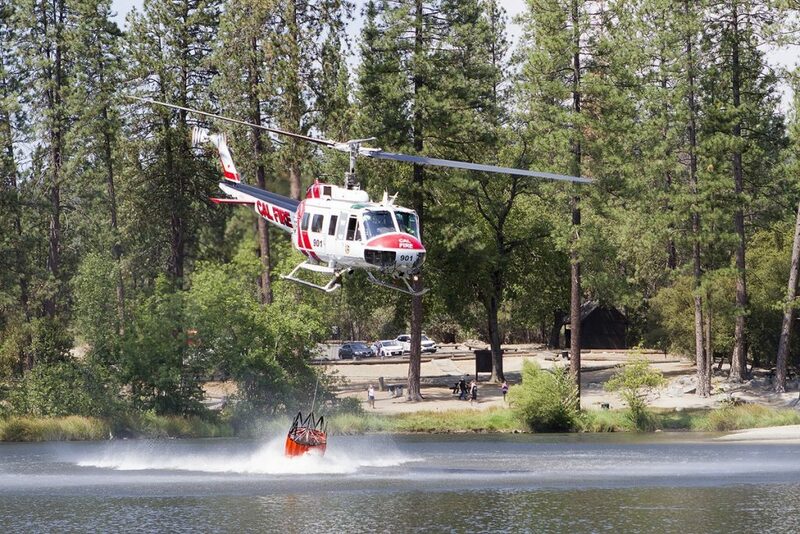 Just after 4 p.m., forward progress was stopped, with the fire holding at about five acres. Heavy mop-up is anticipated, so crews expect to be working another five to six hours for full suppression. UPDATE 6:45 p.m. – Road 274 is now open in both directions. At 7:15 p.m., the evacuation advisory for the west side of the road was lifted. 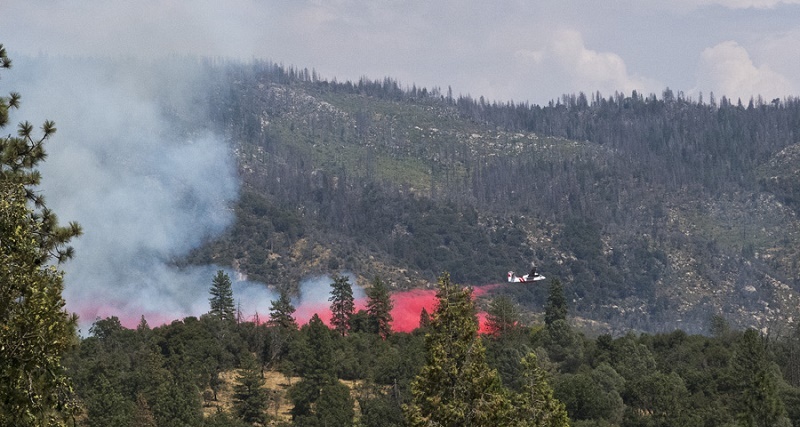 The final acreage on the Fork Fire was seven acres. The fire has been contained and controlled. One witness said the fires may have been started by a pickup truck pulling a trailer, but that is not official and the cause of the fires is under investigation.